Jon Carin is a Grammy Award-winning multi-instrumentalist (keyboards, guitar, lap steel, bass, drums, and programming), as well as a singer, songwriter, and producer who has been a longtime collaborator with Pink Floyd and the solo careers of David Gilmour and Roger Waters. Jon co-wrote the ‪Pink Floyd hit, Learning To Fly, and has appeared on the Pink Floyd albums, A Momentary Lapse Of Reason, The Division Bell, Pulse, and others. He has toured extensively with Pink Floyd, and also with ‪Roger Waters and ‪David Gilmour as solo artists. In addition, Jon has a long history working with The Who and ‪Pete Townshend, ‪Eddie Vedder, ‪Bryan Ferry, Psychedelic Furs, ‪Martha Wainwright, ‪Soul Asylum and many others. He recently completed 22 shows in London on the Kate Bush ‪Before The Dawn concert tour, her first since 1979. He toured with David Gilmour on his Rattle That Lock World Tour in 2015/2016. Jon also produced, co-wrote, and played all of the instruments on his critically acclaimed album, ‪Richard Butler. He is currently on tour with Roger Waters for his sold out Us & Them world tour. We chatted with Jon about his music. 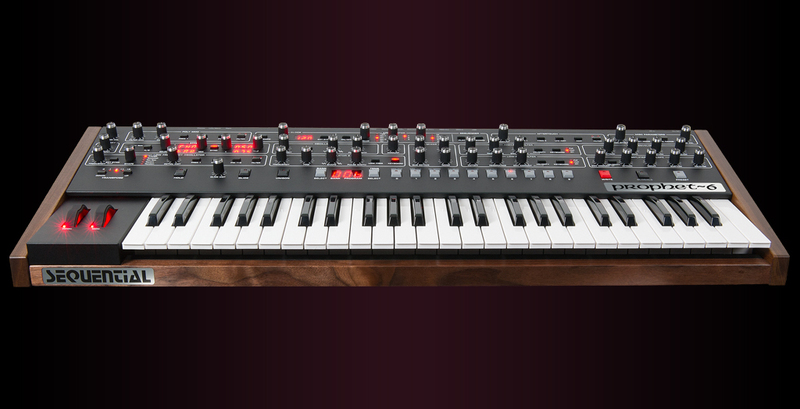 How are you putting the Prophet-6 to work for you on tour? I am applying it wherever warm, living breathing analog goodness is required, and in the context of ‪Pink Floyd music, that is obviously abundantly. 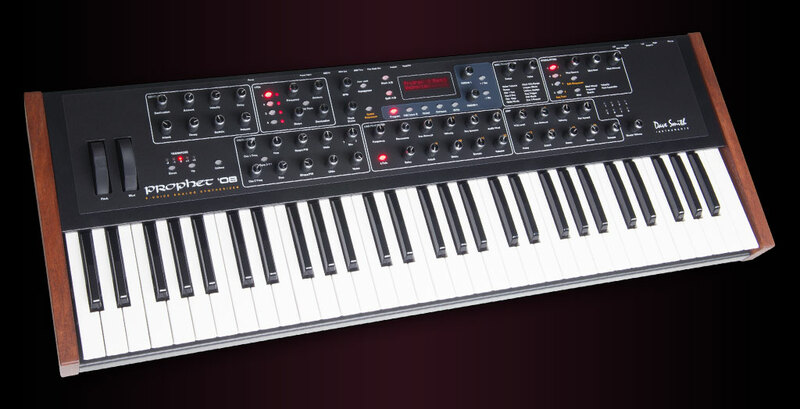 How do you usually go about integrating a new keyboard (such as the Prophet-6) into your setup? Do you spend a lot of time learning an instrument thoroughly? Or do you even have time for something like that? As soon as I get a keyboard, I start playing around to see what the defining characteristics are, then save patches as I go for future use. Color palettes. I don’t listen to the patches it comes with. Nowadays, there are all kinds of issues with internal patches. Too many FX, inappropriate velocities, crazy panning, overly fussy patches. Too much diluting the colors. So I initialize and have fun. Then I look for sonic holes in what I’ve already got programmed in the show or song, and I try substituting with the new keyboard. You’re a skilled sound designer. Do you always program your own patches? If so, where do you start? Yes, I always do all of the programming for me, and for whoever the other keyboardist is. I programmed all of Rick Wright’s sounds, and all since Rick. And with ‪Kate Bush, The Who and ‪Pete Townshend, ‪David Gilmour, ‪Bryan Ferry, ‪The Psychedelic Furs etc. I always start from scratch. It makes it bespoke to the specific show or record. And it also eliminates having to search for hidden modulation, velocity, etc. in an existing patch on a synth that doesn’t apply to the vintage I’m trying to recreate, for example. Synthesizers reveal themselves quite quickly. The strengths, the weaknesses, the defining characteristics. You’ve spoken in the past about how much you like the richness of analog. What are your thoughts about about the resurgence of analog synths in recent years”? Is there a resurgence? I’ve always used analog synths. Hasn’t everyone? I’ve got a large collection of analog synths and home organs, odd and otherwise. It’s especially exciting to see such a reputable pioneer such as Dave Smith release reliable, stable, roadworthy, extremely creative new tools that require no maintenance, and don’t leave your wonderful and talented tech cursing you behind your back with a hot soldering iron. How’s that for an honest plug? I realize this may be a provocative thing to say, but I find it odd when people buy a vintage synth just because you heard it on a record from the ’70’s. There’s a fine line between “retro” and “dated and derivative.” Remember, when ‪Pink Floyd’s Wish You Were Here and Animals came out, they were absolutely sonically ground breaking and forward thinking. They were modern pieces of work, not a retread of past ideas and sounds or throwbacks. That’s the difference between innovation and imitation. Solinas, Minimoogs, VCS3’s, and the Synthi AKS were new. Think of the absurdity of ‪Pink Floyd asking their friends in 1974: “What did artists use 43 years ago to get those sounds?” They were new! They weren’t scouring Ebay, Reverb.com or Craigslist for old gear to be trendy. There’s nothing more pretentious than using gear because you’re trying to out-hipster your friends, in my opinion. We will never have the next ‪Brian Eno, Richard Wright, John Foxx, ‪Dave Formula, ‪Pete Townshend, ‪Kate Bush, Richard Barbieri, ‪Billy Currie, ‪Joe Zawinul, Eddie Jobson, Tonto’s Expanding Headband, Tony Mansfield, Larry Fast, Roger Powell, Conny Plank, David Sylvian, etc. by living in the past. Art can’t remain frozen in a museum, it has to be alive and moving forwards. There are a plethora of creative choices to make nowadays. As far as touring goes, you’ve spoken about how Roger likes to know what everyone is playing and how he depends on that exact performance night to night. With that in mind, are there any things you do in particular to keep things fresh for you on a long tour? Roger absolutely relies on each show being exactly the same each night. This is theatre. His canvas. The reliability & repetition creates a grid, a format in which he is able to apply the more global message he is trying to convey. The music is an excuse for the big picture. So, it’s not a jammy show involving improv. If you’ve joined the band for ego gratification, you’re in for a disappointment. With that in mind, there are thousands of ways of playing each note in the show, minute variances, different feels. So that’s where I explore things. I’d liken it to an actor performing the same play each night. You find nuance within the structure. Regarding touring, my wife and I like to really explore each town we are in. Art galleries, museums, shops, restaurants, hidden cultural gems. We are social animals. Off the beaten path is better as the world becomes a giant H&M Sunglasses Hut. We like to meet people. Gather experiences. I’m not one of those people that holes up in my room slaving over a laptop working on demos or devising endless ways to promote myself on someone else’s dime. I simply can’t bring myself to do that or take advantage of their generosity. That way, when I get onstage, I am fresh and can approach each song with the intent it deserves. I’ve been hired to deliver, which I’m so proud and fortunate to do. If I have a musical idea, I just use the voice recorder in my phone. I liken the mode of touring to hunting and gathering experiences, and being at home is more internal, for expression. You’ve spoken about how important “character” is to you in a particular musician’s personal style (as opposed to sheer technical brilliance). How would you describe your own personal musical character? And musically speaking, what do you feel helps build “character”? My character is to try to make every single musical gesture absolutely essential to a song. I scan for what is missing and look for a musical part and sound that you couldn’t possibly imagine the song being without that will grab you by the throat and force you to feel something. Example, on Roger’s new record, there’s a song called Deja Vu. We rehearsed this song and developed it for several years in sound check & in hotel rooms. And it sounds pretty close on the record to how we played it for years, except for my Lap Steel parts and solo, which aren’t on the record. When I heard the record, it was obvious to me that is what is missing. So I play it live now and it completes the picture. It’s not a fancy or complicated thing to add, but, in my opinion, it just has a certain something. Even the guy who produced it said we should go back and add it to the song. I’m completely uninterested in a note-for-note perfect reproduction of an existing piece of work. I’m more interested in making music that’s in the moment and alive. The way I do this within the context of a Pink Floyd show, like Roger’s Us & Them, is to inhabit the energy in which the music was created, create sounds that are appropriate to the production, then play and sing my heart out as the music carries me, and look for windows to fill a very large space. There are undoubtedly iconic, signature moments, sonically, that I need to faithfully execute, and then there are moments to expand on that. Roger is absolutely incredible at looking at the big picture and discarding what is unimportant and indulgent. He’s a real producer. He knows what works in a giant space. There are times when you can hear people sort of defaulting to a place of playing for the sake of it, as musicians will tend to do, and you can count the minutes until Roger will catch it and bring it up in sound check, and strip it back to what’s essential. I love that! As that is the role I ordinarily play in a band, I’m so appreciative of his gift. As far as building character ? If you ever find yourself playing something that doesn’t serve the song, but serves yourself, scrap it. It’s a hard thing to master, but while you are playing, listen to the whole piece of music. Not just yourself. Selflessness. It takes a village. Roger is a master of this. Following on from that… for you, what defines “character” in an instrument? Tone? Feel? And can you give an example of one or two instruments that you feel have it? Well, synthesizers…regarding Dave Smith’s creations, obviously, the Prophet-5 had that. ‪James Guthrie, who is one of the producers of The Wall album, has always been into it, and it certainly helped define ‪Pink Floyd’s The Wall record. I then used it years later on The Division Bell, on a song leftover from the A Momentary Lapse Of Reason record called A Great Day For Freedom. The Pro One was big in my bands when we were in school. My friend, producer Perry Geyer, who runs Cybersound in Boston, had one, so we used that a lot. Punky little synth! I believe he still has it. I’ve used the Six-Trak a lot, and I used the Prophet ’08 on The Wall Tour. The Prophet-6 has loads of character. To me, it is initially delicate and pretty, but can be coaxed into being aggressive, as well. And the hi-pass filter allows it to venture into CS-80 territory. You could pick each one out in a sonic lineup. That defines it. But I could certainly write a book on the sonic traits of different synths through the ages to the present day. Related to that, what kind of things inspire you in a given instrument? With a great instrument, music just sort of falls out of it. Lack of resistance is the key. Be it a guitar, drum set, bass, synth, piano, etc. It just coerces the music out of you. When you feel resistance and frustration, it’s your creative enemy. Good instruments play in tune as easily as possible with as little hassle as possible. You’ve described yourself as a self-taught musician. How do you go from that kind of self-starter-type beginning to working with such legendary figures as Roger Waters, David Gilmore, Pete Townshend, Eddie Vedder, and others? That seems like a pretty incredible journey. Well, every person you just named is, to my knowledge, self taught. When I was very young, I was aware of this. I thought you could only take lessons to learn classical and jazz, and that rock & roll and folk and blues were made by self taught people. So that is the path I pursued, thankfully. Far easier to develop a unique character that way, in my opinion. Do you have a musical bucket list? If so, what’s on it? When I listen to albums like George Harrison’s All Things Must Pass, Bowie’s Heroes, Dylan’s Nashville Skyline or Love & Theft, Lennon’s Plastic Ono Band and Imagine, Talking Heads’ 77 and More Songs About Buildings and Food, XTC’s English Settlement, Magazine’s Real Life and Secondhand Daylight, Simple Minds’ Sons and Fascination and Sister Feelings Call, Willie Nelson’s Red Headed Stranger, Muddy Waters, Johnny Cash, Buddy Holly, anything Bob Johnston did… I hear a room I’d like to be in, be in the middle of. When I listen to records like that, I long to be there. Because of the way I started with home studios, playing everything myself, that isolating experience was born out of necessity. I long for the experience of being in an amazing room with incredible musicians and incredible songs, incredible engineers, incredible producers that is so important to great record making. I’m tired of hearing records made in a vacuum by an amateur in a studio in someone’s house with multiple overdubs. Unless it’s like Rudy Van Gelder. It’s too easy to play everything yourself, overdub your way to the illusion of interaction. That interests me less and less, as I’ve done it too much. How lonely and indulgent it is for me, personally. It’s just not a mode I am enjoying at this given moment. Tomorrow’s another story. I realize that is the economic business model we are living in now, but for me, interaction and expertise and meticulous quality control in song selection, recording, and production is the key to lasting work, be it Howlin’ Wolf, ‪Pink Floyd, Talk Talk, ‪The Beatles, The Band, ‪Bill Evans, Rain Tree Crow, or whoever! Check out Jon’s Facebook page here.